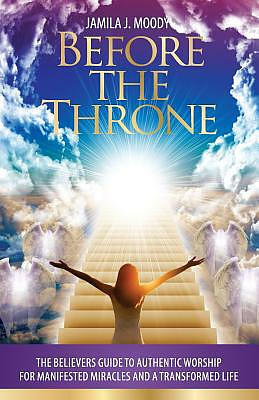 Journey with the author through the pages of this book and get ready to be transformed! Before The Throne: The Believers Guide to Authentic Worship for Manifested Miracles and a Transformed Life by Jamila Jordan Moody was published by Jamila Jordan Moody in November 2016 and is our 54935th best seller. The ISBN for Before The Throne: The Believers Guide to Authentic Worship for Manifested Miracles and a Transformed Life is 9780692792629. Be the first to review Before The Throne: The Believers Guide to Authentic Worship for Manifested Miracles and a Transformed Life! Got a question? No problem! Just click here to ask us about Before The Throne: The Believers Guide to Authentic Worship for Manifested Miracles and a Transformed Life.